The sophisticated instrumentation in modern analytical laboratories requires regular service in order to preserve measurement quality and functionality; this is typically the second largest budget expense after salaries and benefits. In previous decades, it was relatively common to fulfill this requirement by simply purchasing annual contracts where the original equipment manufacturer (OEM) provided full maintenance services for its products. However, as instruments became more reliable and cost reduction mandates swept through labs, the situation became more complicated as managers began to seek less costly alternatives. Labs became more willing to trade benefits for lower costs and, in many cases, adopted a self-maintenance model where lab personnel or specialized in-house instrument technicians performed most of the work while using vendors only for repairs that were beyond the technicians’ competence. Instrument companies responded to these trends by introducing a variety of new service products to defend their business and by offering labs multiple options for trading off benefits for lower costs. Today, lab managers can choose from a menu of plans ranging between such disparate options as totally outsourcing the entire maintenance function at a fixed price at one end of the spectrum to complete inhouse maintenance at the other, with a myriad of options in between. This has led to an unsettling situation where similar laboratories have come to completely opposite conclusions as to which model provides the most business value. Consider the case of two labs serving essentially identical manufacturing plants at different locations within the same company, where one lab has opted for full outsourcing of asset management while the other has adopted a self-maintenance model. How can labs that operate in nearly identical environments come to such widely different conclusions on the optimum solution for the business? Obviously, the managers are focused on different priorities that led them to these different conclusions. So let’s look at what factors should be considered in creating a rational service plan for the lab. The obvious first question to settle in selecting the most appropriate service plan is whether the decision should be as simple as opting for the lowest cost option. This option may be best for the lab budget line item but not the best solution for the business. The logical basis for guiding the selection of the preferred program should be the one providing the lowest total business costs. To accomplish this, the manager must first identify which specific service elements carry the most business benefit and most business risk and then evaluate each available option for each instrument or class of instruments to optimize with respect to those criteria. Let’s look at how this works. Business cost comprises two parts: direct costs that are counted against the lab’s operating budget and indirect costs that usually accumulate elsewhere in the organization’s financial statements. Direct costs are the monies that the lab actually expends, i.e., the price paid for the service, and are naturally the focus for the lab manager since they are easily measured and directly impact the lab’s (and lab manager’s) performance. Indirect costs are typically incurred by the lab’s customers as a consequence of lab service and thus may be overlooked or undervalued when evaluating options. There are a number of ways to evaluate these risks but the most straightforward for most laboratories is simply looking at the effects of lab performance on their customer’s operations— what are the consequences of a failure to provide a particular quality measurement for the customer within a given time frame or within defined precision limits? For this, the lab must look to the customer to fully understand how the measurements are used and the consequences of delays or poor precision. Nearly all laboratory results have a time value associated with them that varies according to the function of the laboratory. 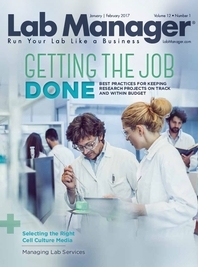 Research and development or product development labs typically operate on a time scale of weeks to months, so the time value of lab results can be relatively low; there may be discretion as to when to actually perform the analysis, and the results are business-relevant for relatively long time periods. On the other hand, time is a critical element and has an immediate direct monetary value for process control, quality assurance, and commercial laboratories. For example, continuous processes in the chemical and petrochemical industries gradually evolve and change over time so that results more than three or four hours old may no longer reflect the current state of the process. Since the lab measurement may be a vital component for producing product within defined specification limits, the monetary loss due to the absence or delay in the measurement is related to the likelihood of the process going out of control during the test outage. The penalty for producing off-specification product for world-scale plants can be tens of thousands of dollars per hour due to rework or sales discounts. Likewise, product held awaiting quality certification contributes to inventory and demurrage charges, which not only increases business costs but also risks customer dissatisfaction for delayed shipments. For commercial labs, instrument downtime translates directly into lost revenue, which directly impacts profitability. Thus, a critical factor in selecting the service option for a particular instrument is the longest acceptable time that it can be out of service without seriously impacting customers and at least an estimate of the business costs incurred if the outage exceeds this time. When these costs are very high, options offering short times to repair are often the most advantageous choices in spite of higher prices if the lab has no immediate reserve measurement capability. A second risk factor is quality of service. A guiding principle for all instrument service operations should be that operability is not an acceptable measure of quality. For example, services or repair by a vendor using wide specification replacement parts to reduce costs can restore function while compromising instrument precision. Some labs invest in instruments with the highest performance characteristics and count on routinely generating data at the highest possible precision. For these labs, any decline in instrument performance, which may go unnoticed for some time, can have serious financial consequences for the business. For example, part-per-billion levels of impurities in feedstocks can seriously jeopardize catalyst productivity and product quality in the polymer industry. Any instrument procedure that reduces the limit of detection for these compounds can have multimillion-dollar consequences for the business over time. On the other hand, if the measurement capability of the instrument is known to far exceed customer requirements, modest declines in performance may not be relevant—customer requirements are the deciding factor in judging the quality of the measurement. A laboratory’s staffing strategy might also be a factor in selecting the optimum service plan. Opportunity costs consider the value of staff time devoted to maintenance and service issues in comparison with the loss in analytical productivity. In other words, what business value could be derived from paying a third party to handle service issues in order to allow staff more time to devote their full attention to business objectives? With the staff reductions experienced by most labs over the past decade, it often makes good financial sense to outsource maintenance activities to allow the small remaining staff to devote full attention to the science and customer issues. Alternatively, some labs try to preserve headcount by assigning maintenance activities to a staff member who might otherwise be furloughed. For example, in order to avoid losing headcount, a lab manager might argue for assigning maintenance activities to a chemist or technician while reducing the maintenance line item in the budget by discontinuing contracts. This type of switch to a self-maintenance model hopes to preserve some portion of a resource for analytical use, although not without risk. There might be competence issues that affect instrument performance and it is likely that this reallocated resource will not be capable of handling all situations, so that some form of commercial backup will still be required that produces unplanned overages in the budget. However, this service model has the potential advantage of delivering same-day repairs to minimize instrument downtime and has delivered excellent results in some situations. Budget predictability can be another factor in selecting maintenance service options. Some labs prefer to select the more expensive full service OEM contracts in order to avoid budget overages when unplanned instrument repairs are needed. This strategy is advantageous when organizations are subject to strict budget control measures. So we see that finding the best instrument service option for the lab is not simply shopping for the lowest price alternative but is all about protecting the business value of the measurement. It is an amalgam of multiple factors such as total business cost, the strategic intent of the laboratory, available resources, complexity of the technology, customer requirements, and so forth; the chart in Figure 1 lists some typical criteria that might be relevant in evaluating plan options. If the plan includes purchased services, it is not unreasonable to expect the vendor to help articulate the business case for the choices to executive management. Building a service plan presents an opportunity for consolidation of suppliers and contract renewals so that the entire process can all be accomplished within the same time frame rather than strung out piecemeal dealing with multiple vendors at various times throughout the year. The general process is outlined in Figure 2. If the lab manager is fortunate enough to develop a business-optimized service plan within the current budget allocation, implementation is relatively simple. However, if the best solution requires additional funding for the lab in order to minimize overall costs to the business, the lab manager must be prepared to articulate a coherent business case to executive managers using their financial language. And in this case, the lab may still be criticized for incurring higher costs in its budget, even though it may lower total business costs. It’s not always easy to do the right thing! On-site field observation, verification, and documentation provide multiple benefits. Without established timelines or performance measures by which to track progress, it can feel like you are constantly racing against time and funding to produce results.